Note: Photos are for illustration purposes only. Please refer to listing details for exact dimensions. 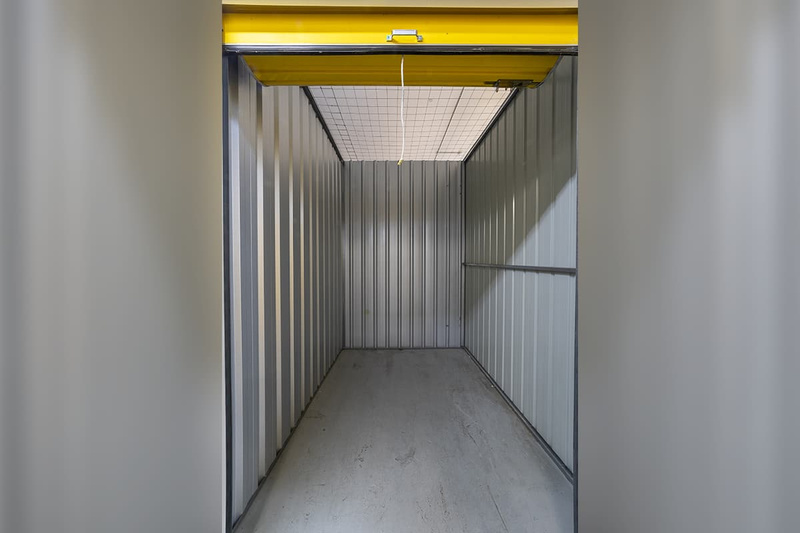 The unit is housed in one of our modern, clean and secure storage centres with flexible access hours, usually between 5am – 9pm seven days a week. Once you’ve padlocked your unit, you will be the only person who can access your items. We take security seriously, with PIN-coded access and CCTV surveillance utilised to help keep your storage secure. We also offer a range of moving supplies including boxes and bubble wrap, plus trailer hire to help you move into storage. Just ask our friendly team when they contact you to confirm your booking. Can I inspect the space? Yes, but only during office hours mostly from 8am-5pm Monday-Friday and 9am-2pm Saturday. Office hours vary depending on the centre. What time can I move in? Anytime during office hours, generally 8am-5pm Monday-Friday and 9am-2pm Saturday. Office hours can vary from location to location. Does this space have power points? No, but access to power can be requested. Installation of power points will depend on the duration of lease. The cost for the power usage will be flat rate and will depend on your power requirements. Does this space have lighting? Not all units have lights installed but there are lights in the hallway. Is there access to elevators and trolleys? Yes, upper floor spaces can be accessed via elevators, and trolleys are available for your use. Does the facility offer forklift services? Some centres offer forklift services. Message us to check if the location you are enquiring about offers forklift services. Can I use the unit as a workspace? Yes, even mechanical work, but you must ensure that your work presents no danger to other people or property. Can I access the space 24/7? 24/7 access is a special request. Usual access hours is 5am-9pm (7 days/week) at all centres. Can someone from the facility accept delivery on my behalf? Can the space be accessed by multiple people? Yes because you will be providing your own padlock. Is the unit temperature controlled? No, but there are couple of centres that have temperature controlled units. Message us to check if the location you are enquiring about offers temperature controlled units. Can I store a vehicle? Yes, but this would be a special request. Storage units along driveway do not necessarily mean they are suitable for vehicle storage. Some centres have a narrow laneway so maneuvering the vehicle is not possible. Message us to check if the location you are enquiring about offers vehicle storage.